Like a lip balm and tint rolled into one, this luscious tint is crafted from certified organic ingredients and leaves a modern, sateen (but not overly shiny) finish. In a spectrum of shades to suit any occasion or mood, you’ll carry this sublimely packaged compact with you everywhere – and notice that your lips are moisturised as well as enhanced with a subtle sheen of colour. 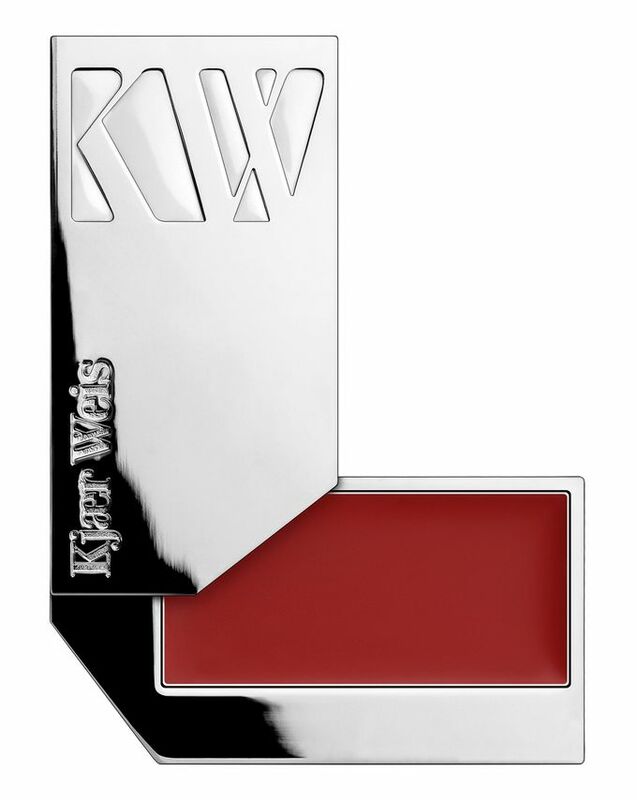 Kjaer Weis Lip Tint is a luscious lip colour with the hydrating benefits of a lip balm, all encased in a sublime silvery compact that you won’t want to be without. Crafted from certified organic ingredients, it contains beeswax to nourish parched pouts, as well as natural oils – jojoba seed and rosa rubiginosa – to impart much-needed moisture. The subtle sheen of colour can be built up for more intense pigment payoff, so the only decision to make is which of the six flattering shades you want first. Bestselling ‘Passionate’ is a perfectly translucent berry hue; ‘Amazed’ is a pale, fresh lilac pink; ‘Rapture’ is bright, blue-based pink; ‘Romance’ is a vibrant, reddish-pink; ‘Beloved’ is a flattering blackberry-burgundy and ‘Lover’s Choice’ is warm, deep red inspired by the rich, velvety petals of a rose. 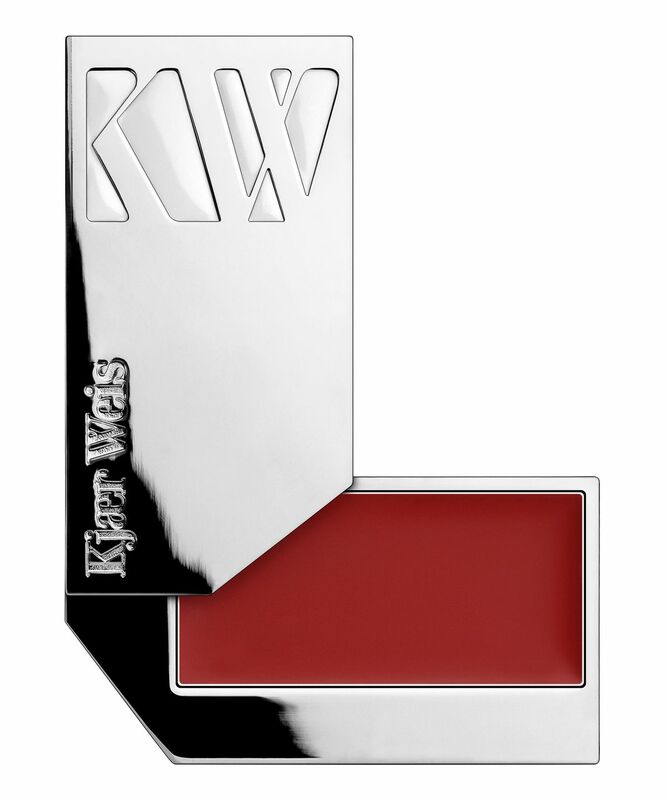 Wonderfully versatile and flattering on almost all skin tones, we’ve an inkling you’ll be thankful for the Kjaer Weis Intelligent Refill System, which means that you can keep your precious compact and replenish it with a different colour every time you run out. Ricinus Communis (Castor) Seed Oil∙, Caprylic/Capric Triglyceride, Euphorbia Cerifera (Candelilla) Wax, Copernicia Cerifera (Carnauba) Wax ∙, Butyrospermum Parkii (Shea) Butter∙, Cera Alba (Beeswax)∙, Mica, Zea Mays (Corn) Starch∙, Simmondsia Chinensis (Jojoba) Seed Oil∙, Rosa Rubiginosa Seed Oil∙, Tocopheryl Acetate, Ammonium Glycyrrhizate, Citrus Medica Limonum (Lemon) Peel Oil∙, Dextrin, Gardenia Florida Fruit Extract, Citral*, Limonene*, CI 77891 (Titanium Dioxide), CI 77492 (Iron oxide), CI 77491 (Iron Oxide), CI 15850:1 (Red 7 Lake). These products maybe a bit expensive, but to me they are worth every penny. These are bespoke products, which do exactly what they say. Are not at all thick, heavy or cloying, but subtle & natural looking. My favourite foundation ever.